Sidney Robert Nolan was born in Carlton, Melbourne, on 22 April 1917, the eldest son of Sidney and Dora Nolan. In 1932 he enrolled in design classes at Prahran Technical College and the following year was employed as a commercial artist. He attended the National Gallery of Victoria Art School briefly in 1934 and again in 1936. In 1938 he married Elizabeth Patterson. 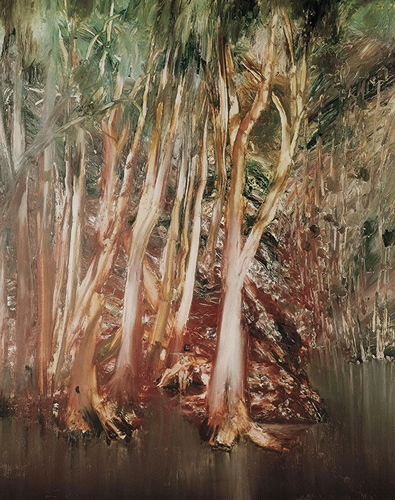 In 1940 Nolan held his first solo exhibition in his Melbourne studio. 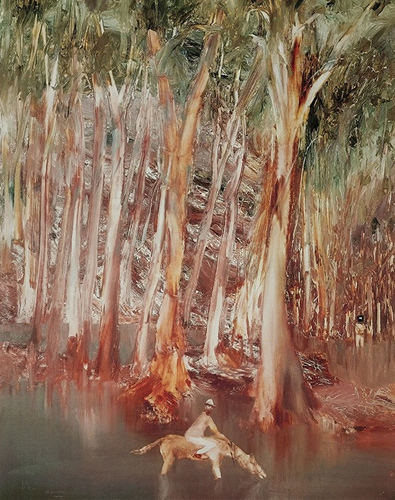 Separating from his wife in 1941, he lived with John and Sunday Reed, whose visitors to their home Heide, included Arthur Boyd, Mary Boyd (whom he married as his third wife in 1978), Joy Hester, John Perceval and Albert Tucker. Conscripted into the army in 1942, he spent almost two years stationed at Dimboola, in north-western Victoria. In 1947 Nolan left Melbourne and settled in Sydney, marrying Cynthia Hansen (John Reed’s sister). Nolan held the first of many solo exhibitions in London in 1951. From 1953, based in London, he travelled extensively throughout Europe, America, Africa, Antarctica and Asia. A retrospective exhibition was held at the Whitechapel Gallery, London, in 1957 and in 1967 a major retrospective toured Australia. From the 1970s, Nolan visited Australia regularly. He was knighted for his services to art in 1981, and was awarded the Order of Merit in 1983. 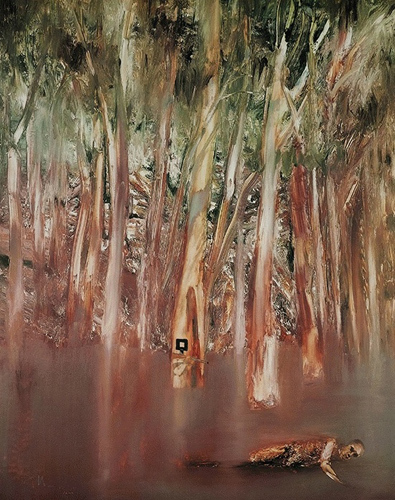 In 1987 the National Gallery of Victoria organised a comprehensive retrospective exhibition, which toured nationally. 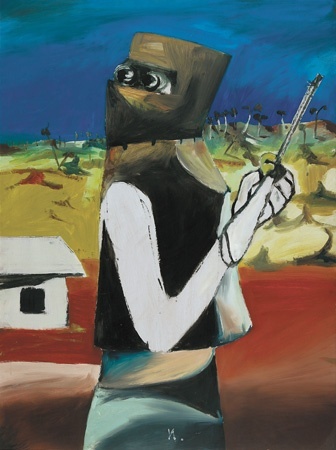 Sidney Nolan died in London on 28 November 1992.